What are the Best Drug Rehabs? What are the best drug rehabs? When people come to the realization that something needs to change, that they need professional help in order to turn their lives around, it often frustrates prospective patients to see how many different options there are. Many times people just want to wade through the systematic process and know what the most successful and best recovery program is. Many people have asked us this before: “Can you just tell me which program is superior?” Unfortunately, it is not quite that easy. Many different factors should be considered before you narrow down ‘the best’ choice. Before you start looking through the lengthy list of available recovery programs, you want to narrow down your options as much as possible. This will help you exclude options that you are not particularly interested in and will ultimately allow you to spend more time researching those facilities that will offer what you are looking for. How serious is the condition? – This is a difficult question to measure, but it is an important one nonetheless. If you are struggling with serious alcohol or drug addiction and know that you feel compelled to use habitually, you may need to exclude potential outpatient options right away. Those might not be the best place for you at that particular time, especially if you know you would be tempted to use without supervision. Additional assistance such as detoxification services may also be necessary. Remember that specific substances have severe and dangerous withdrawal symptoms, in that situation you would be wise not to try to recover on your own. Are there any special needs? – Perhaps the prospective patient is differently abled in some way. Perhaps you only eat vegetarian or vegan meals. These important things must be considered. If the patient is not comfortable in a facility, they cannot focus all their efforts on recovery. When narrowing down drug treatment facilities, it is important to make sure that they fit your needs. How much money can/will you spend? – Even though it is frustrating to have to consider finances in a situation where you are striving to get better, you have to realize that some of the best inpatient facilities do charge a fee for enrolling into recovery treatment with them. Knowing whether you have an insurance company that can provide assistance or have to take out a loan (or perhaps pay out-of-pocket) will narrow down your options substantially. Even though many people do not like to think about this crucial factor, it is one that will, out of necessity, greatly narrow down your search. How far can you travel? – Some people prefer to get away from their current surroundings and seek help out of state. Others simply do not have that option. It is also important to recognize that sometimes legal issues may prevent the patient from traveling. Again, this narrows down the number of options significantly. Even though most people enrolling into recovery are glad that they have found a place that matches their needs and wants, it is important to remember that the vast majority of these programs are offering a service. A service that you pay for yourself, through your insurance, or in some instances, with your tax dollars. When inquiring into drug and alcohol rehab, you need to understand that asking questions is not strange – it is to be expected. What is the average length of stay? – It is important to know how long the actual process is going to take. Longer inpatient recovery programs have proven statistical benefits over the shorter programs. 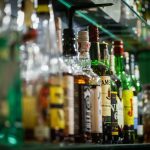 It would make sense that a longer period of time to focus on living a sober life would translate to a better chance of maintaining sobriety once you leave that particular program. What is the cost? – We have already mentioned this important aspect, but it is wise that you ask this beforehand rather than ask afterwards when you receive a massive bill. Are staff members properly certified? – It is important that you work with staff members who know what they are doing. This is not only important in making you feel comfortable that you are around trained personnel, but you have to take into consideration that many long-term drug abusers have other health issues as well. Having qualified staff nearby would be a logical thing to look for. Are there follow-up programs to help prevent relapse? – There is no denying that having aftercare programs in place will help prevent a possible relapse. 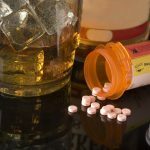 Statistics show that the programs that have these services in place, give a patient a much better chance of long-term sobriety. What is the staff to client ratio? – Having a personalized approach is beneficial to many patients. When the ratio of staff to patients is good, it means that staff members can spend more time focusing on the patients’ individual needs. Is there a waiting list? – Once you have found your drug rehab facility of choice, you may be frustrated to find out that there is, in fact, a waiting list. Considering that there is evidence to support the fact that a patient must not delay in enrolling, it may be in your best interest to keep looking for alternative options if you are unable to enroll within the next few months. Do they offer a comprehensive treatment? – Some patients prefer to have a wide range of therapies available. These may include complementary, experiential, and traditional options of some of the most current evidence-based therapies available. These may include holistic biophysical treatment, alternative non 12 step care, Cognitive Behavioral Therapy as well as other current recovery methodologies. Again, there is no one particular answer that is going to tell you everything that you need to know. The best drug rehabs for you will be dependent upon the individual needs of who you are seeking help for. If you need help with narrowing down your options or would just like to talk about the choices you are contemplating between the best drug rehabs, pick up the phone and call. Don’t delay another second when help is so close.